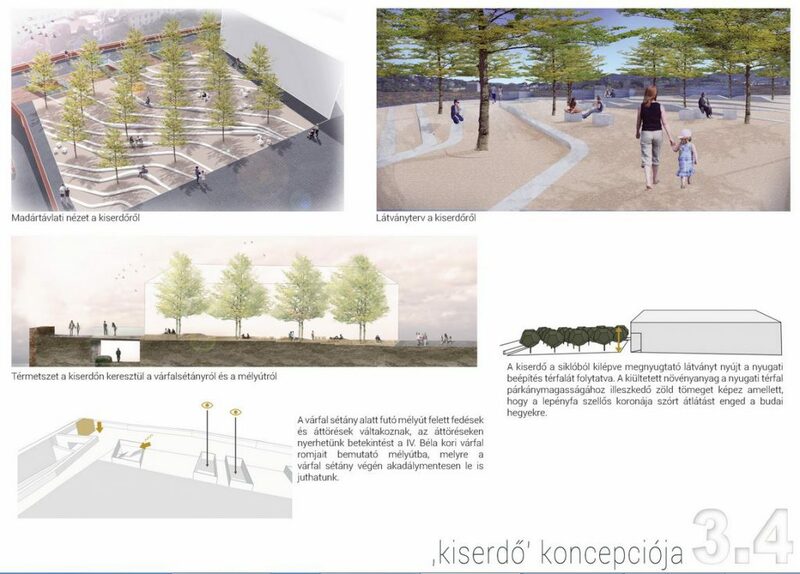 After the widespread examination of the correspondences of the site the plan proposes its transformation. 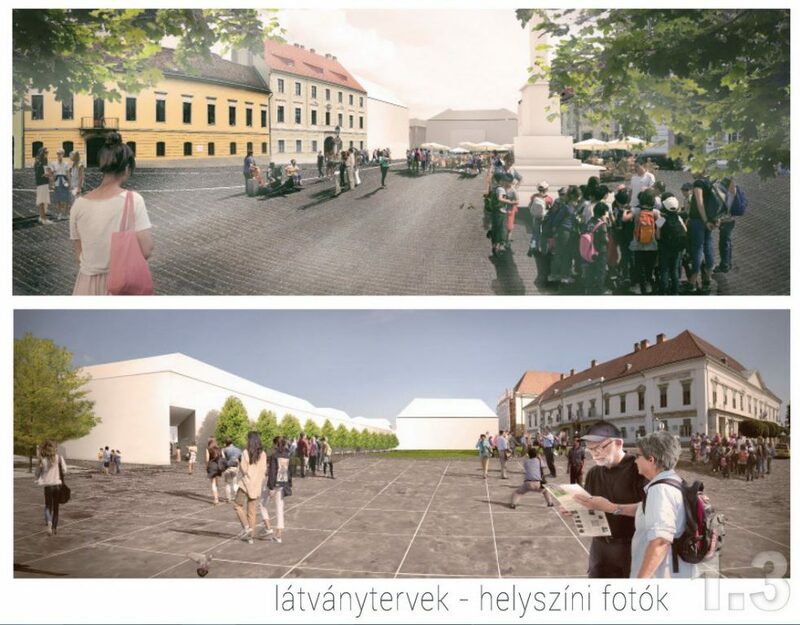 First the Dísz Square will be renovated, connecting to its old state on the turn of the century. 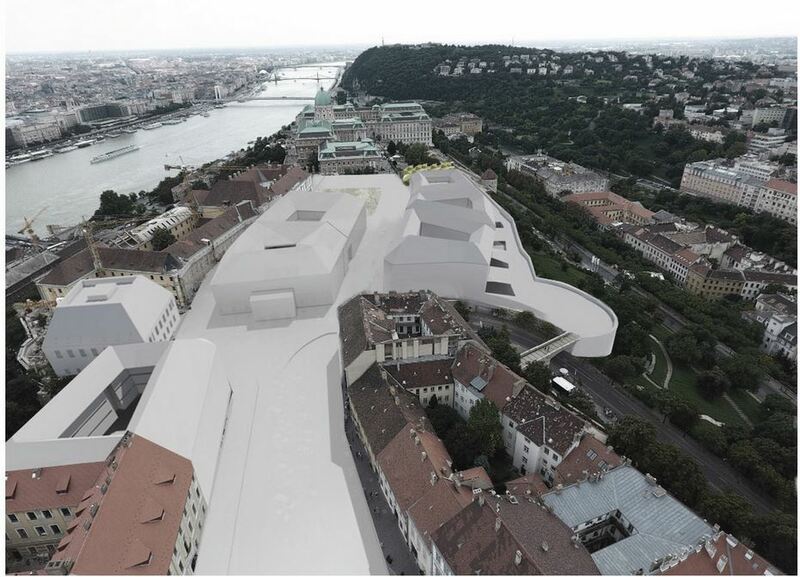 The corner gap will be filled, and the Honvéd statue will be facing the old Defence Headquarters building. 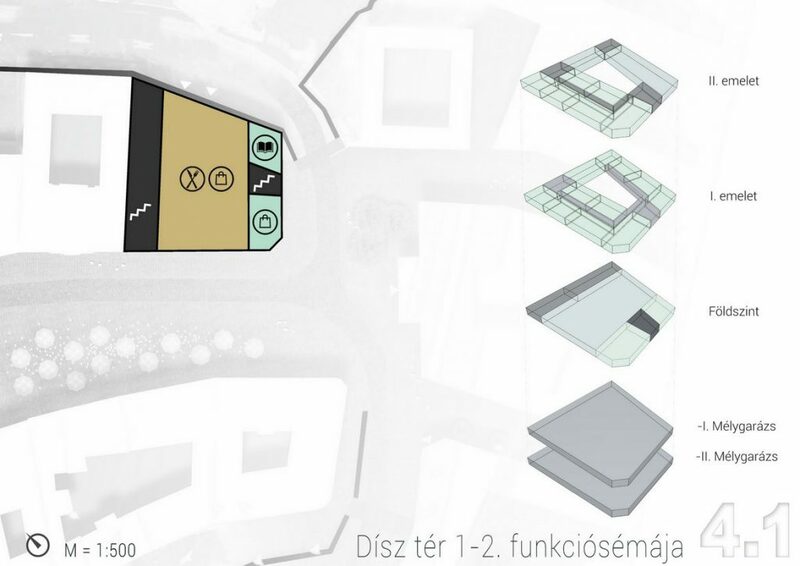 High standard restaurants and cafés will be located in the center of the square. The connecting (now) one way streets will pass under the new gates of the castle. The old National Defence Headquarters will get another level built on it. 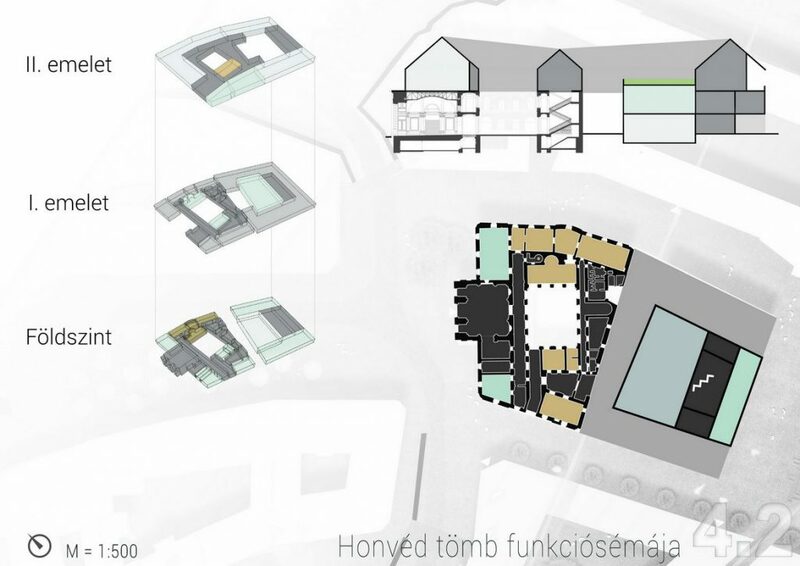 A visitor centre, and the Museum of Architecture will be here. 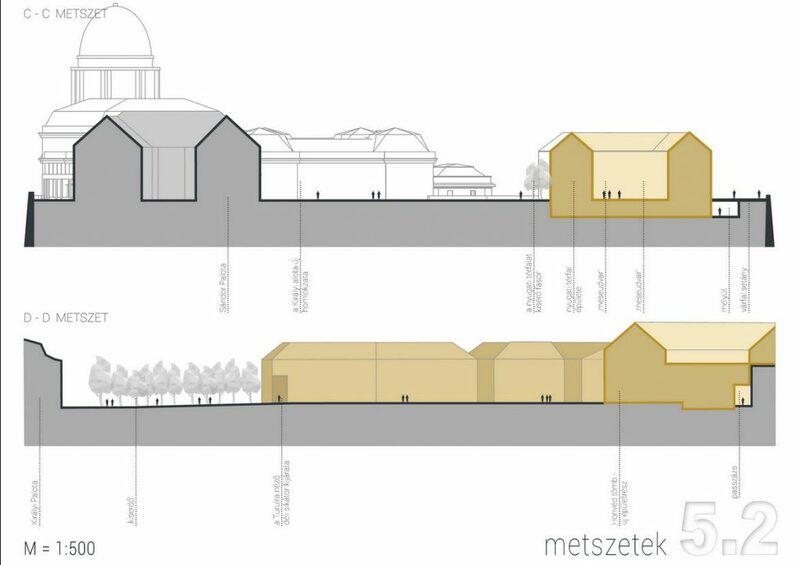 Separated with an alley, a new public building will be built, which is rich in exhibitional spaces, and conference halls. 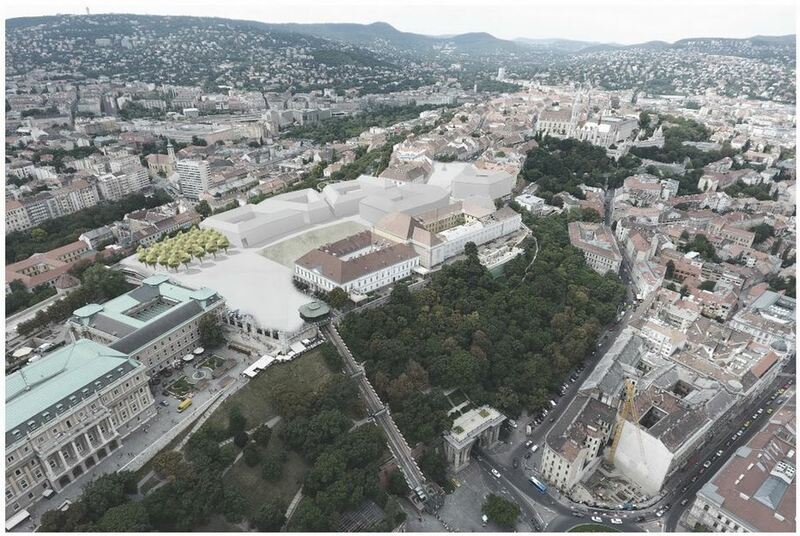 The wide terrace of the highest level will have a spectacular view to the renovated main entrance of the Royal Palace. 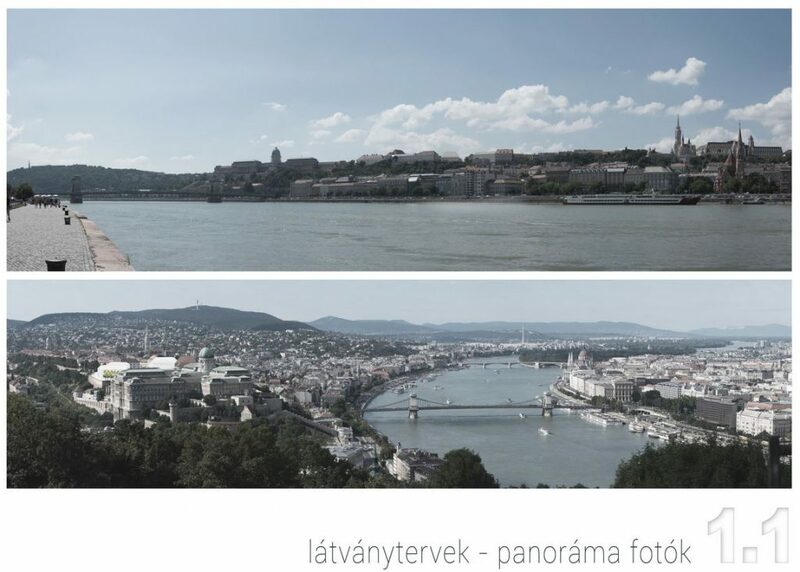 The big Budapest model will also be located here. 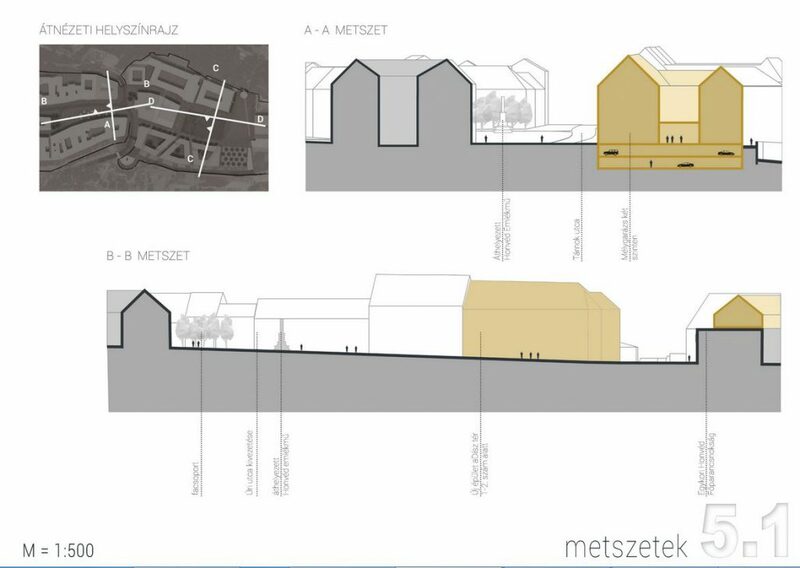 Five blocks with alleys will be built on the western side of the square. 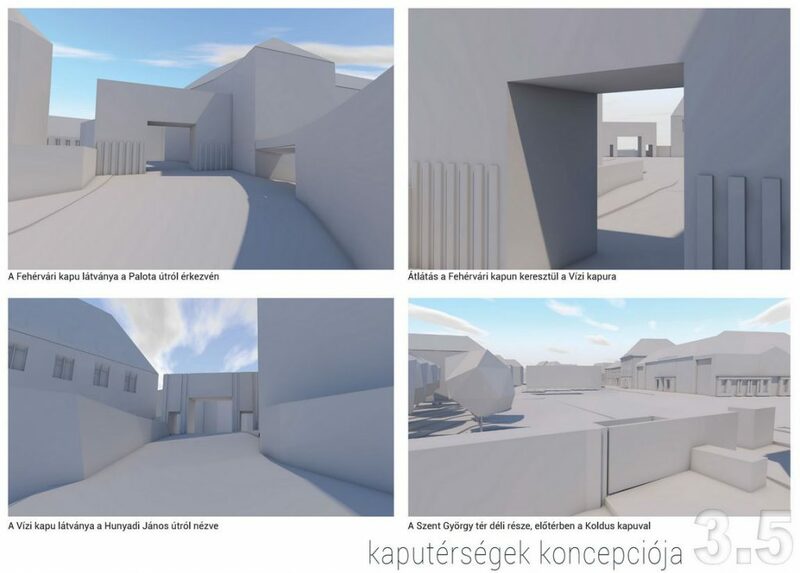 The alleys are oriented to either one of the significant architectural components of the buildings of the square or to the hills of Buda. On the ground floor, high standard shops, restaurants and cafés will be opened to the walkway alongside the newly continued castle wall. 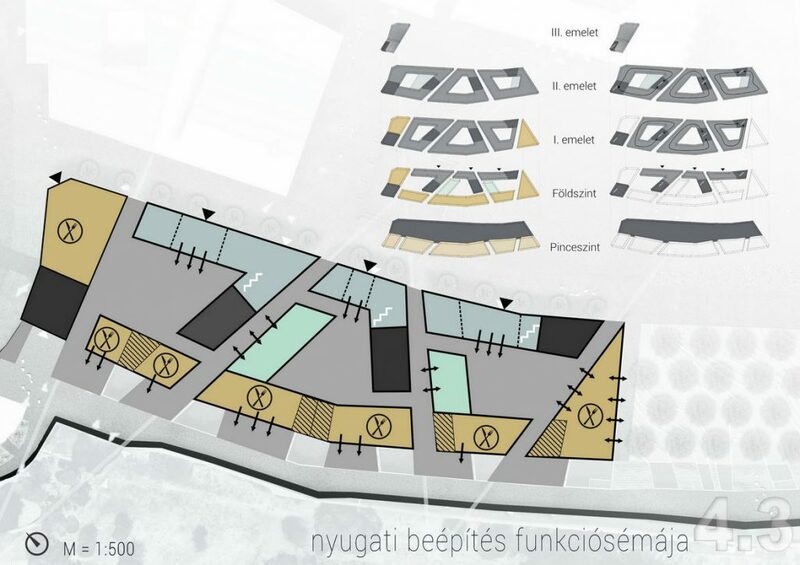 Museums and special gastronomic units will be located on the upper levels. After the protection of the ruins, a small relaxing-forest will be set up between the southernmost block and the castle wall. 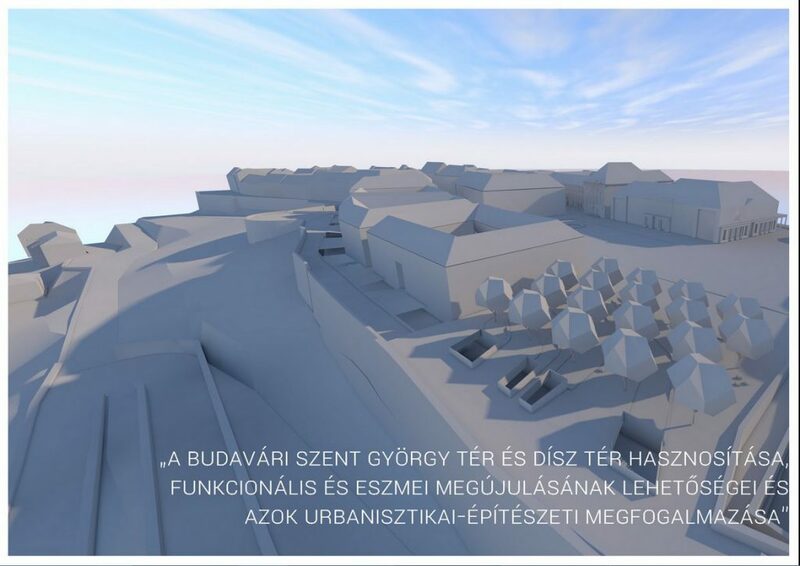 After the reconstruction of the Royal Palace’s volume, the royal gardens will be accesible through the old Koldus gate. 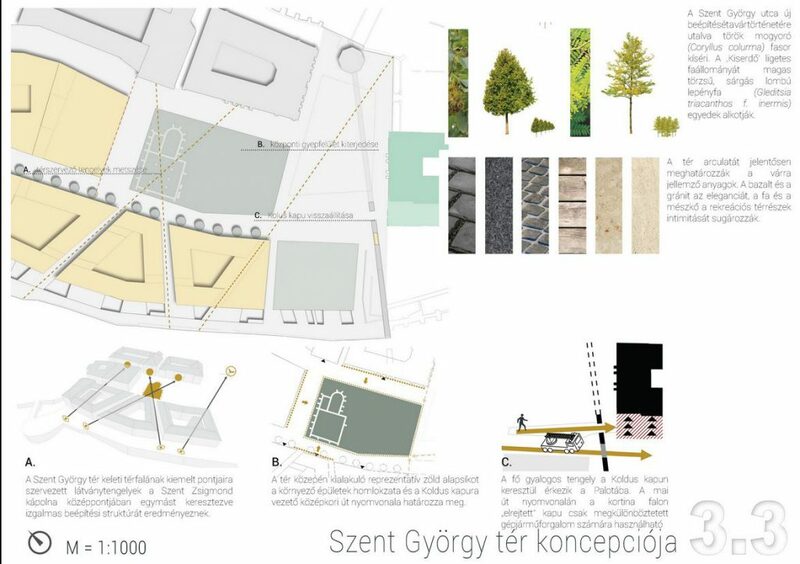 Most of the Saint György square’s area will be covered with grass, where the markings of the chapel of Saint Zsigmond can be seen. 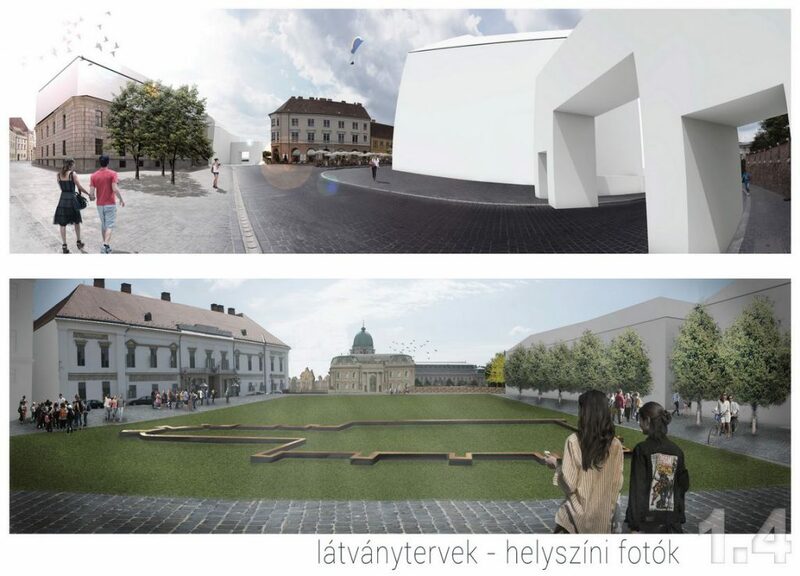 Between the Sándor Palace and the Royal Palace the surface will be covered by big sized pavement as an ornamental sign of the representation. 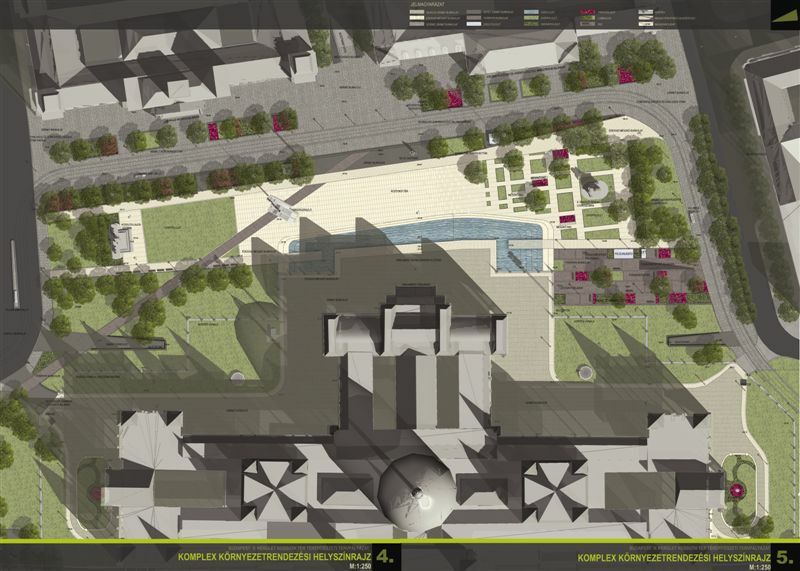 The big, wide facades of the new western blocks will be partly covered with a Turkish hazel avenue. this is an environment design?